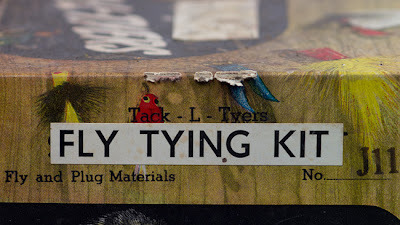 I recently discovered my old flytying kit from circa 1960 (maybe '61 or '62) buried in a box in the attic. Looking at the contents, it's no wonder that I lost interest almost immediately. Check out the vise that came along with it! And those feathers... oh, my goodness. 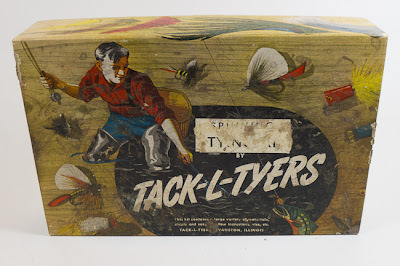 I remember "tying" (I use that term loosely, pun intended) a few flies, each of which disassembled quickly on the water, likely during the second cast or after the first sunfish hit it, whichever came first. Are you old enough to have experienced such a disaster of a kit? My guess is that this was the standard kit available at the typical-for-the-day local sporting goods store. Especially if you didn't live in an area where flyfisherman were abundant. C-clamp vise. I wonder what the pedestal model looked like. LOL. As I recall, even with pliers I couldn't get the clamp to adequately hold a hook. In my case the local sporting goods store was Macone's. I loved that store. I bought my first "English" bike there, a black thin-tired "Robin Hood Sports" by Raleigh with a 3-speed gear shift. It was so much cooler ("neat" or "kean" might have been the term used back in the day) than the fat-tired Schwinns. I bought my first football and Wilson brand all-leather "Jerry Lumpe" baseball glove there. Macone's even rented skis! And they had car models. And they had fishing stuff! Rods and reels and Daredevils and fishing flies in little plastic-hinged snap-shut boxes. I bought my first pair of waders there at age 12; they were chest waders and basically made of plastic (probably made in Japan, where all the cheap stuff was made back then) as I couldn't afford the canvas ones. Were those the "good 'ol days"? I don't know. I think they were all good. But I must say it was a simpler time. On the other hand, any 12 year old today can easily do a lot better when it comes to tying flies. Yes Peter, That was a good one...I never had such a "kit" myself; my brother and I were fortunate to get my dad's no-longer-used tying stuff that included materials from E. Hille Angler's Supply House in Williamsport, PA, and also carded items from E. C. Gregg. 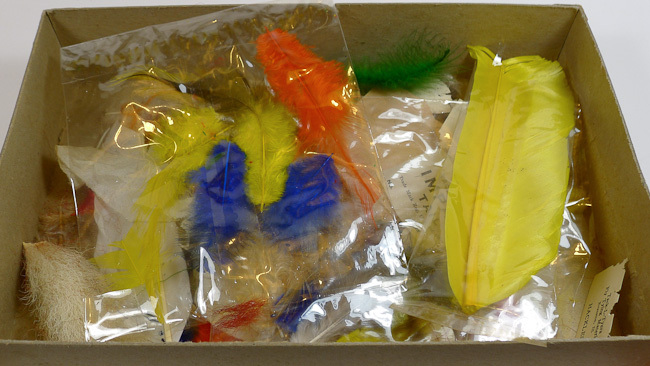 We were lucky to start off with feathers and hooks that you could actually tie trout flies with...thanks for the memory lane trip! Don, you were definitely one of the lucky ones! It wasn't until about 30 years later that I decided I'd try my hand at it again! Thankfully, my older son (then 12 years old) talked me into taking him to a local United Flytiers meeting... and the bug bit me! Peter, Yes indeed, I was given a tying "kit" for Christmas about 1950 or so and the interior looked much like yours. 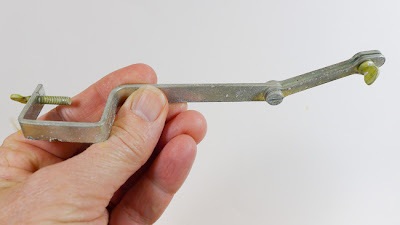 A thumb screw cast metal vise that cracked the first time I used pliers to tighten it on a large hook. The best thing though, was the little instruction booklet. That in itself was worth far more than the 'kit' itself. I remember too going in stores that had a metal rack display with small packs of .15 to .35 cent packs of material hanging from hooks on the rotating rack. And later ordering from Herters and Reed Tackle. No shows, DVDs, or much in any magazines about tying back then and it was long before TU or any other clubs were formed nearby. My first flies looked like feather dusters. But I kept at it. I have purchased several of the "kits" in your photos at yard/garage sales. Too nostalgic for me to pass up I guess. The comments above brought back a lot of memories of younger days. My friend Paul called me yesterday after he read my post. He recalls how hard it once was to learn how to tie flies. As Bob points out above, there were no DVDs, internet, google, and the books were few and far between. And where would you even get the books! We had a local bookstore, but I doubt they stocked books on something so esoteric as fly fishing. Having said that, I did get a hold of Joe Brooks' "The Complete Book of Fly Fishing"... which made me feel inadequate if I didn't catch a 6 pound trout on every other cast. There was nothing in it about tying flies and all the fly pictures were black an white. The only other book I had as a youth was "Wet-Fly Fishing" by the editors of Sports Illustrated. Actually it seems to have been written Vernon Hidy. It did have some how-to black and white illustrations, each about the size of a 25 cent piece. 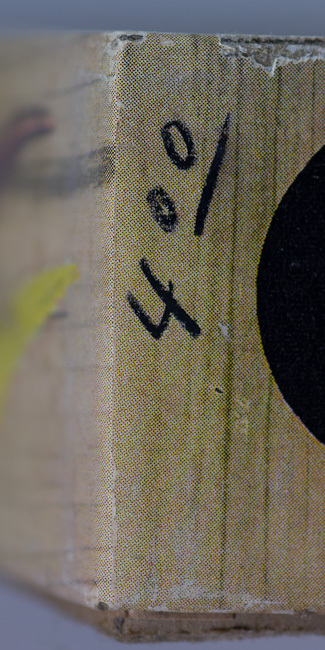 Bill, I wish I'd kept at least one of my old Herter's catalogs... And my old L.L. Bean Catalogs. They'd be a lot of fun to go through. (Maybe I will check out eBay, to see what's available). Bill, I think I do remember that. But, being a New Englander, hot sauces weren't really part of my vocabulary. At this very moment I am looking at my old Herter's fiberglass recurve target bow. At the age of something like 12 or 14, it was all I could afford. The price was more reasonable than the Bear bows I remember looking at. I bought a set of alluminum arrows which were pretty sweet as I remember. Step-by-steps for the "One Feather Fly"